OSWEGO, NY – The Oswego Speedway Pathfinder Bank Small Block Super race teams of Josh Kerr, Mark Castiglia, and Alex McRae will all be holding team fundraisers this coming weekend. Small Block Super racers Josh Kerr, Mark Castiglia, and Alex McRae will be holding team fundraisers this weekend in anticipation of the Speedway’s 65th anniversary season opener on May 9. Kerr, driver of the No. 8 Small Block Super, will hold his fundraiser on April 18 at the Driveway Inn in Palermo. The fundraiser will run from noon to 5 p.m., featuring a steak bake, lotto boards, and a bicycle raffle. Entry tickets to the Kerr Racing fundraiser are $11 with pre-sale tickets available at the Driveway Inn or by calling (315) 368-5208 or (315) 591-4250. Kerr placed 10th in last year’s Small Block Super driver’s standings at Oswego with three top five finishes on the year. Castiglia will also hold his team fundraiser on April 18, with chicken barbeque or pulled pork dinners available at Lighthouse Lanes in Oswego for $10. Running from noon to 5 p.m. the Castiglia Racing fundraiser will also feature several raffle prizes, including a season pit pass to Oswego Speedway. After a couple stellar seasons in recent years, Castiglia struggled in 2014 finishing outside the top 20 in points with only one top five finish. Castiglia hopes to bounce back in 2015. Small Block Super Rookie of the Year candidate McRae will be holding a team fundraiser on April 19 for his No. 14 racer at Gibby’s Irish Pub in Oswego, located at 8 W. Second St. The McRae chicken barbeque will run from noon until all chickens are sold out, with tickets for dinners only $8. Several raffles including a 50/50, lottery board, and other prizes will mark the day. 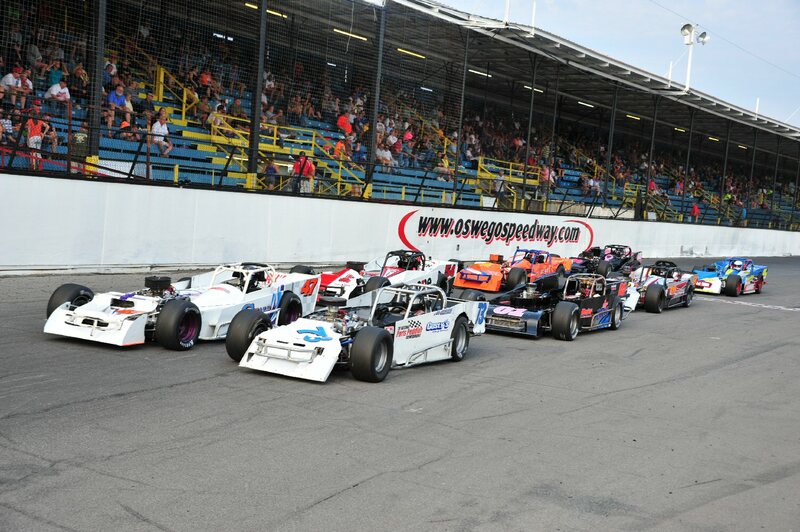 For more information on Oswego Speedway visit online at www.oswegospeedway.com or call (315) 342-0646. 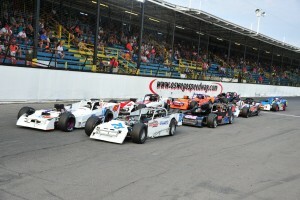 Visit the Speedway on social media @OswegoSpeedway or on Facebook at www.facebook.com/OswegoSpeedway.